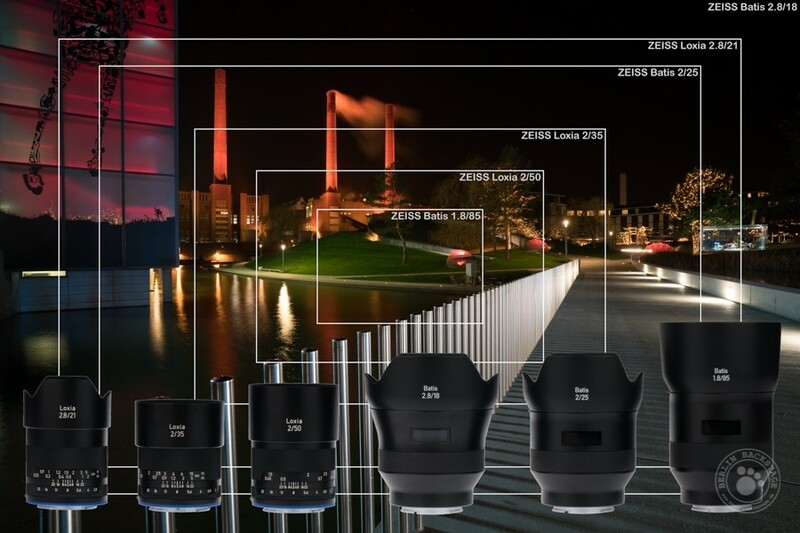 This is a great image showing the field of view comparison of all the Zeiss Batis and Loxia lenses from (http://christian.dandyk.de). You can see how wide Zeiss brings us. So far, there are three Zeiss Batis lenses and three Loxia lenses for Sony a7 Series cameras.